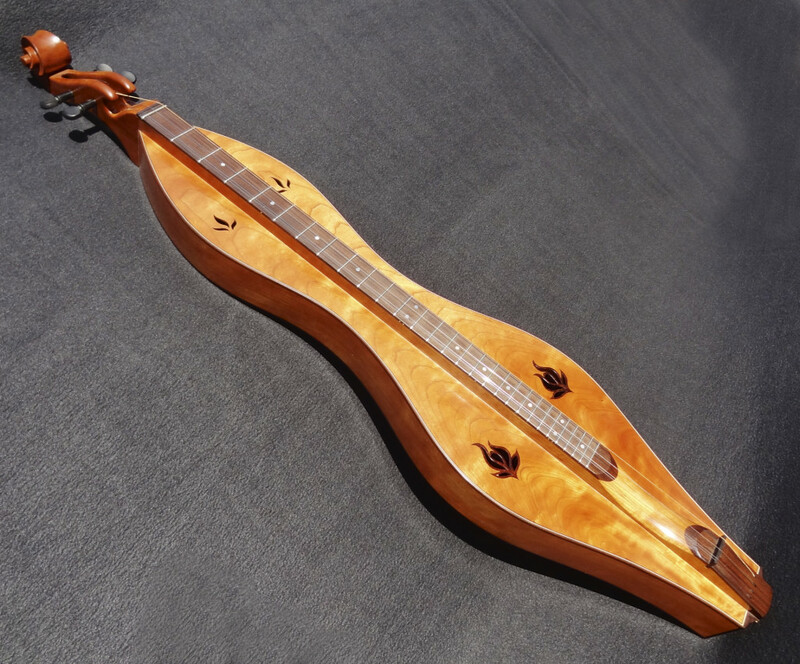 Mountain Dulcimers are stringed instruments with their origins in the Appalachian Mountains; one of the few truly American born instruments. They appeared early in the 1800s, but gained momentum sometime after 1850 and have had a long revival since the 1960s when folk musicians “re-discovered” them. Traditionally, the fret pattern uses a diatonic scale, which means there are no half steps going up the musical scale. No sharps or flats. Think of a piano key-board without any black keys. Most fretted stringed instruments use what is called a chromatic scale—all the notes are there. 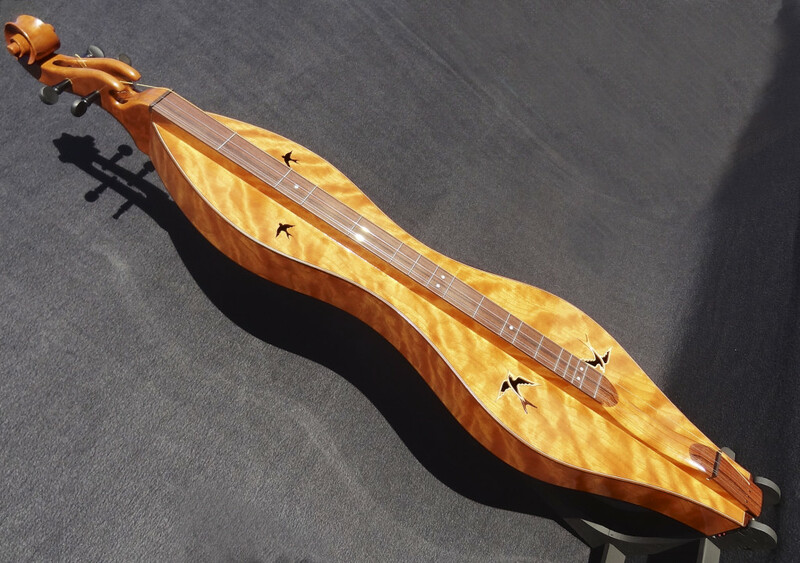 The diatonic scale lends itself to the traditional way of playing a dulcimer, called ‘noter/drone’ style. There are many variations in string arrangement, but most typical is to have just three courses of strings—bass, middle and double melody. 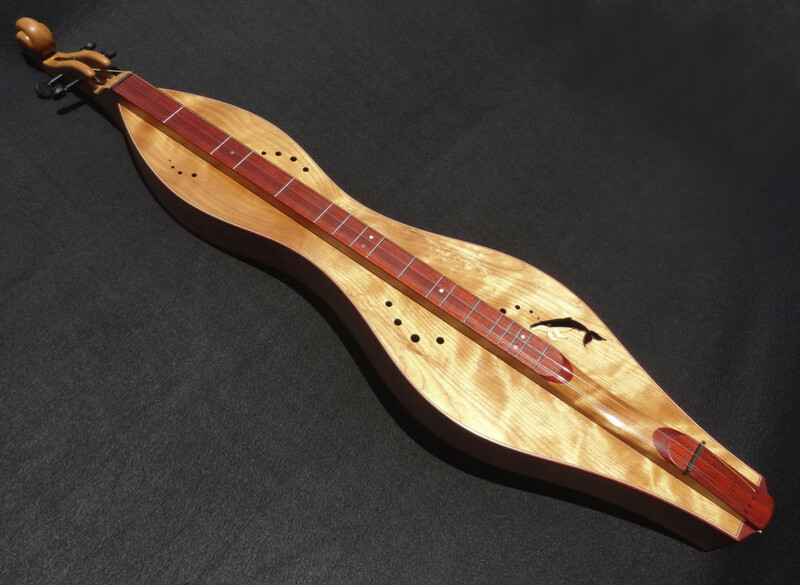 The bass and middle strings are not fretted and act as ‘drones’ (think bagpipes), while the melody strings carry the tune of a song using a wooden stick called a ‘noter,’ as it is slid up and down the fret board fretting the proper notes. Instead of a pick, the quill of a feather is used to strum across the strings. Very unique. 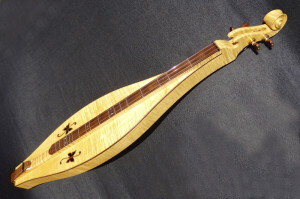 The revival of the instrument has also produced a change to its original character. The noter/drone style of playing has been joined by the cord/melody style (my preference), where all the fingers are used on all the strings to produce cords. 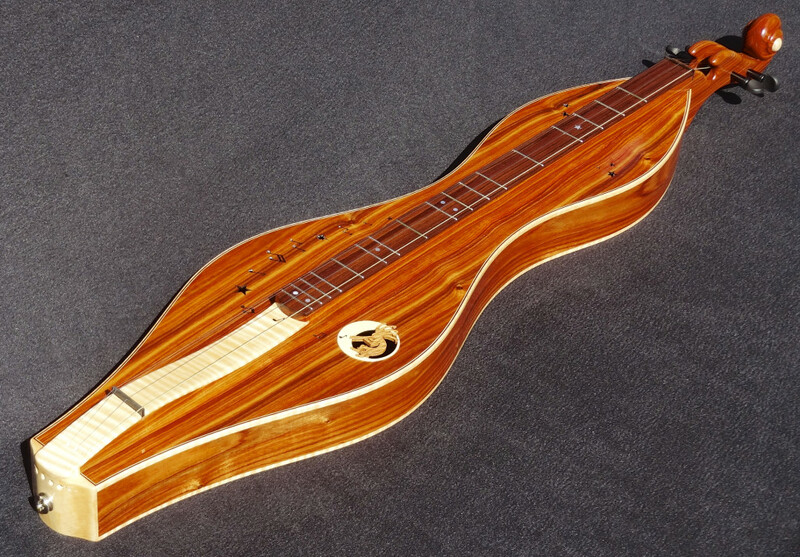 This style has led to extra frets being added beyond the purely diatonic scale. 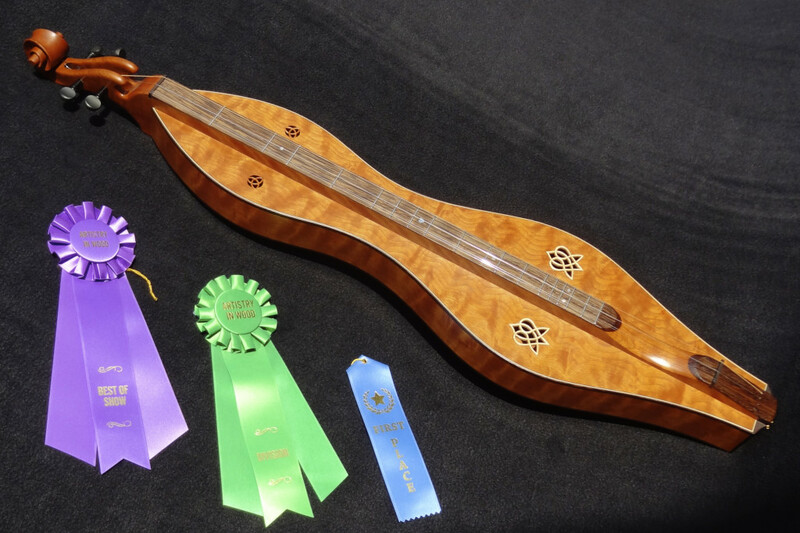 Some, like my Lotus Leaf dulcimer, even have fully chromatic scales. One other thing to note is the wide variance in the shapes the body can take. Most common are teardrop and hourglass shapes, but there seems to be no rule about this. The instruments are usually played while seated, with it laying across your lap.